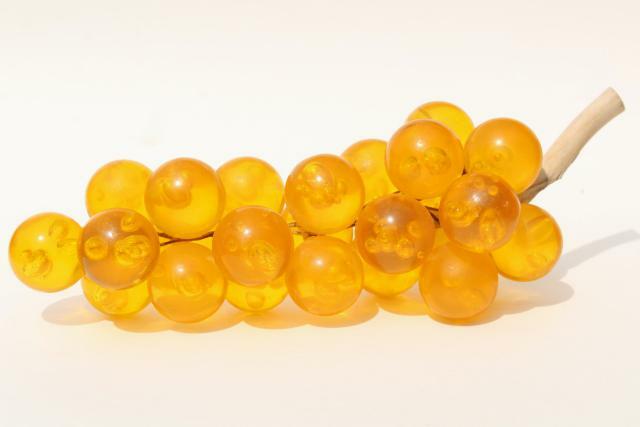 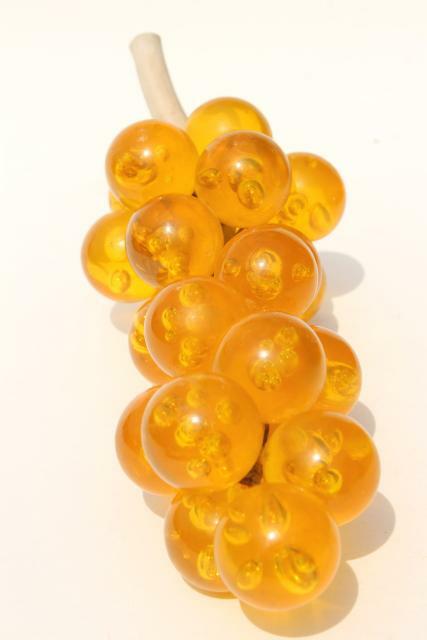 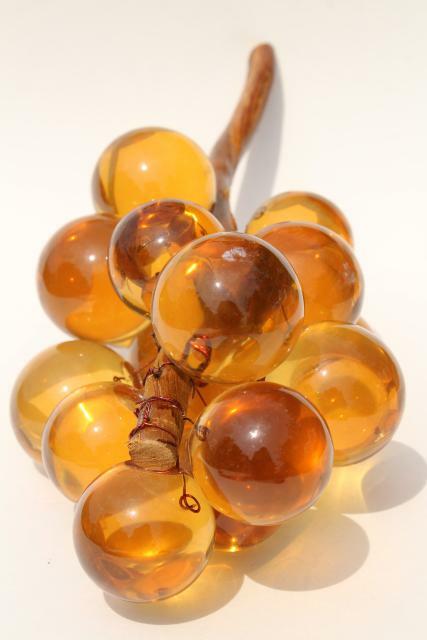 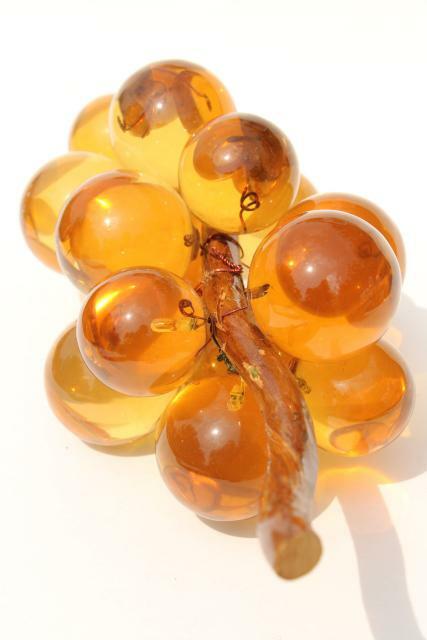 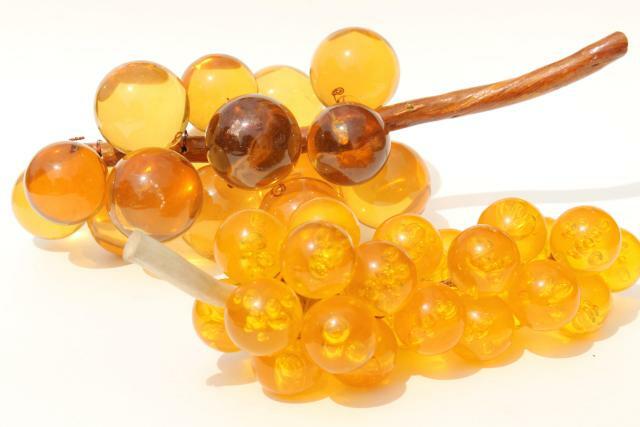 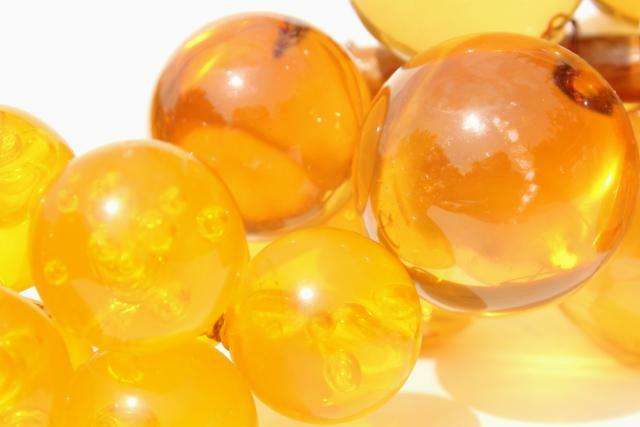 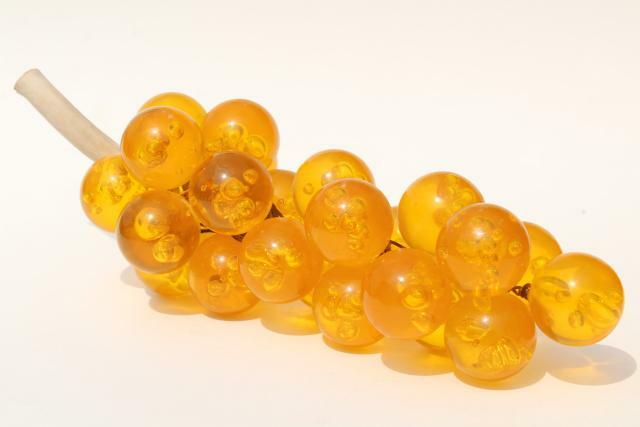 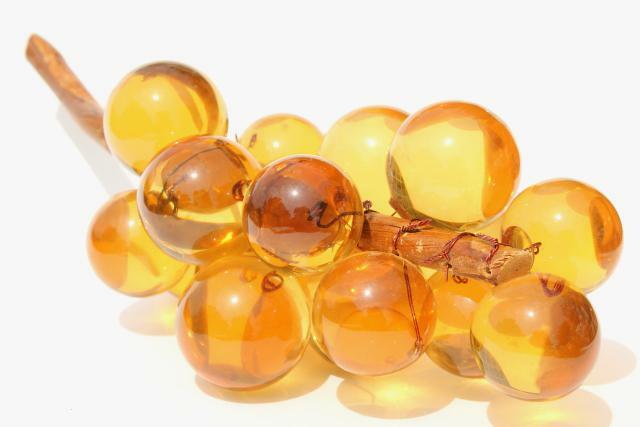 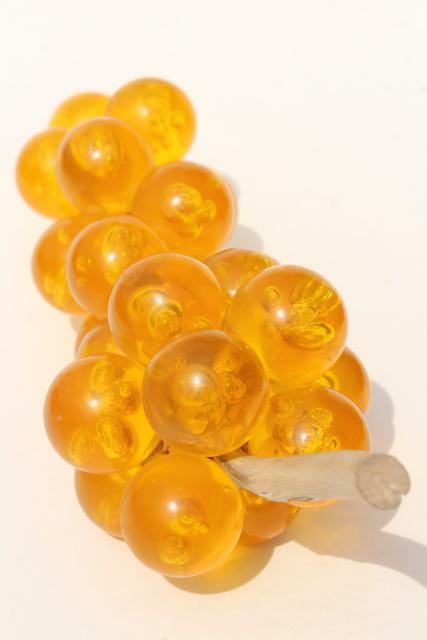 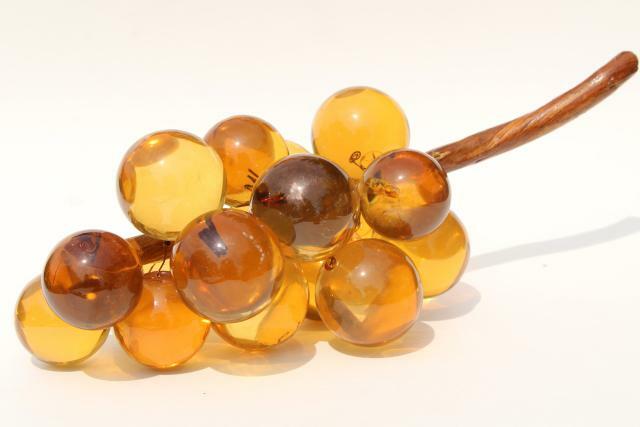 60s or 70s vintage amber colored lucite grapes... two different bunches in this lot, 9" and 13" long. 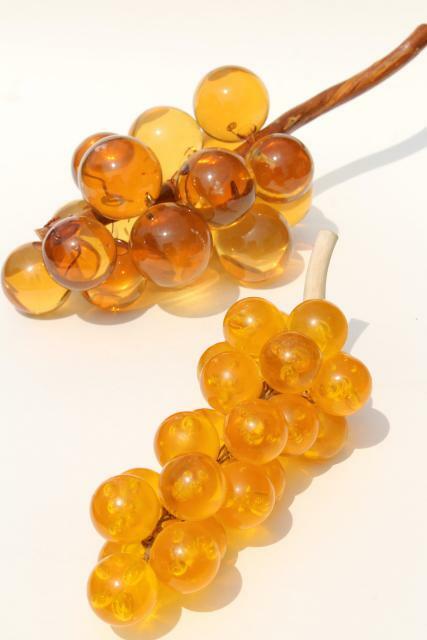 The smaller bunch has grapes about 1" in diameter, the larger bunch has grapes about 1 3/4" in diameter. 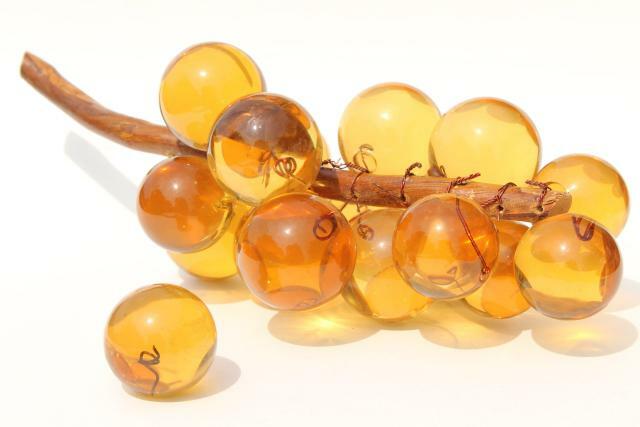 There's a loose grape to the larger bunch, but aside from that, these are in good shape, nice and clean.